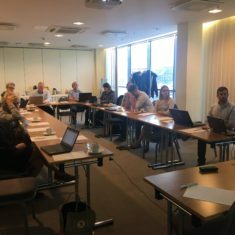 On September 13, 2018 a round table meeting took place in Tallinn, gathering 14 participants from institutions and organisations dealing with ecosystem services, planning and/or grassland management, including Ministry of Environment, Ministry of Finance, Statistics Estonia, Environmental Board, Environmental Agency, Agricultural Research Centre, University of Life Sciences, Environmental Investment Centre, Fund for Nature and Baltic Environmental Forum Estonia. 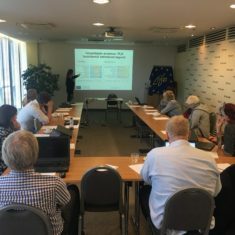 The aim of the meeting was to introduce and discuss the current status and results of the LIFE Viva Grass project as well as to get an overview of other activities related to assessment of ecosystem services and integrating them in planning and decision making. 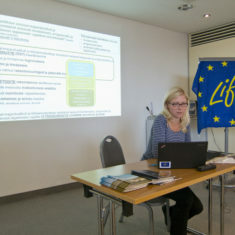 Laura Remmelgas from BEF Estonia gave a brief overview on the current status of the LIFE Viva Grass project. Merle Kuris from BEF Estonia introduced the preliminary results of the survey on „Evaluation of Awareness about Importance and Benefits from Maintenance of Grasslands” carried out in the LIFE Viva Grass project among farmers and landowers as well as other related stakeholders (planners, municipalities, NGOs, agricultural advisers) in the three Baltic countries. Miguel Villoslada Pecina from the University of Life Sciences introduced the Viva Grass Integrated Planning Tool and explained the possibilities for use of its different modules. Madli Linder from Environmental Agency informed about the current status of the ELME project dealing with mapping and assessment of priority ecosystem services on national scale and also about other ongoing or planned projects related to ecosystem services. The feedback on Viva Grass Integrated Planning Tool was positive and it was discussed how the Tool and other project results (e.g. 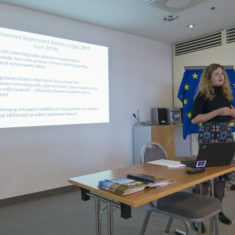 assessment of grasslands’ ecosystem services) could be used in Estonia. 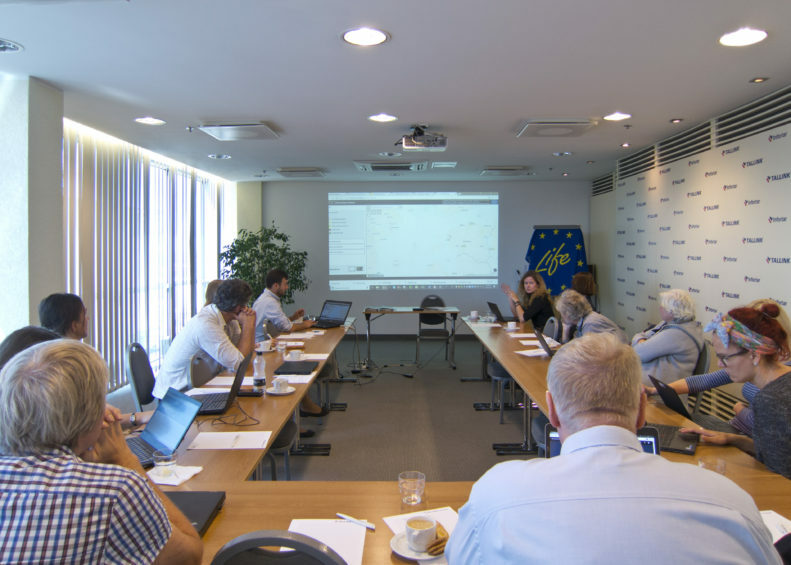 The Viva Grass Tool is the first support tool in Estonia for incorporating ecosystem services into spatial planning and environmental management but also other similar tools are planned to be developed, e.g. a tool for maritime spatial planning incorporating ecosystem services’ component. 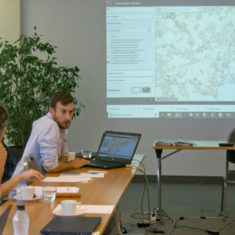 Environmental Agency plans to develop a biodiversity desktop (in the frame of ELME project) that would include all relevant support tools/map applications for planners and environmental experts, also the Viva Grass Tool would fit to this concept. Statistics Estonia was interested in LIFE Viva Grass results as they will start development of methodology for integrating ecosystem services into accounting systems in 2019.